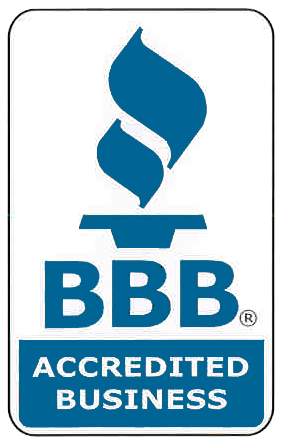 Are you ready for a heating or cooling upgrade? If you’re tired of inefficient and unsightly air conditioning window units, you’re a great candidate for John G. Webster’s air duct design and installation! Serving Washington, DC, Maryland and Virginia, our experienced HVAC techs can equip your home for central air conditioning and forced-air heating in a jiffy! Think central air conditioning and forced-air heating are out of reach? Think again! If your home has never had central air conditioning or forced-air heating before, John G. Webster can design and install a budget-friendly system for you that will take up minimal space in your home, keeping you cool in the summer and warm in the winter. Many heating and cooling companies design and install air ducts as quickly as possible, leaving you with less space in your house and bits of plaster and drywall all over your home. Not John G. Webster! Our decades of experience have given us the expertise to create the most space-efficient air ducts for your home’s unique needs and design. 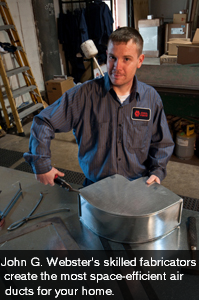 We even build our own air ducts in our facility’s metal shop, saving you time and money. Interested in air duct design and installation? Contact us today!